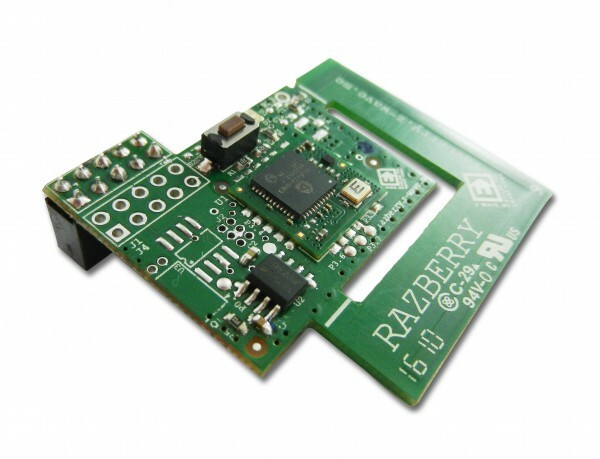 Product information "Z-Wave.Me RaZberry2 - Z-Wave Plug-On Module for Raspberry Pi (AUS frequency)"
The Z-Wave.Me RaZberry turns every Raspberry Pi into a Z-Wave smart home gateway. The bundle of hardware and precompiled Z-Wave wireless network management software waits to be completed by your own user interface running in a web browser or a mobile phone. The RaZberry 2 has an optimized antenna, wherewith the module can achieve a range of up to 200 meters. Please note: The package includes only the Z-Wave plug-on module and the appropriate software. The Raspberry Pi baseboard is NOT included. More information is available on the RaZberry website razberry.z-wave.me. Related links to "Z-Wave.Me RaZberry2 - Z-Wave Plug-On Module for Raspberry Pi (AUS frequency)"